The Peninsula Chapter of the Virginia Center for Inclusive Communities announces that John T. Dever will serve as the chair of the 49th Annual Humanitarian Awards Dinner to be held on Thursday, February 23, 2017, at the Newport News Marriott Hotel at City Center. The awards dinner is being presented in association with The Daily Press. Dr. Dever will assume the leadership role in honoring individuals who have made significant humanitarian contributions to the Greater Peninsula region. Dr. Dever began his tenure as Thomas Nelson Community College’s eighth President on October 1, 2011. His career as an educator and administrator spans more than 40 years. Dr. Dever most recently served as Executive Vice President for Academic and Student Services at Northern Virginia Community College (2004 – 2011). 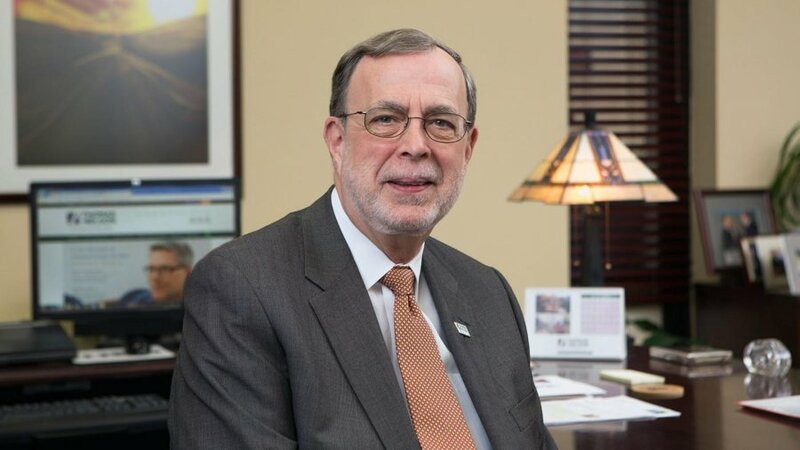 His background in higher education also includes service as Vice President for Academic and Student Affairs at Tidewater Community College (2000-2004); Dean of Instruction and Student Services at Blue Ridge Community College (1995- 2000); and Professor of English and Chair of the Communications and Humanities Division at Thomas Nelson (1975-1995). As a community college administrator, Dr. Dever has pursued research and been involved in major projects dealing with community college transfer, diversity, enhanced general education, workforce development, developmental education, strategic planning, organizational leadership, and distance learning. He serves on the boards for the Peninsula Council for Workforce Development, the Urban League of Hampton Roads, WHRO, the Virginia Tidewater Consortium for Higher Education, GENEDGE, and Riverside Lifelong Health. Dr. Dever received his bachelor’s degree in history from Bellarmine College in Louisville, Kentucky, a master’s degree in English from the University of Kentucky, and a Ph.D. in English from the University of Virginia. His special area of academic interest is Shakespeare, particularly the history plays placed in the context of the English Reformation. The Virginia Center for Inclusive Communities works with schools, businesses, and communities to achieve success by addressing prejudices, in all forms, in order to improve academic achievement, increase workplace productivity, and enhance local trust. Through workshops, retreats, and customized programs that raise knowledge, motivation, and skills, VCIC develops leaders who work together to achieve success throughout Virginia. The 81-year-old organization delivers programs to educators and students in Hampton, Newport News, Williamsburg/James City County, and York through its Project Inclusion and Diversity Dialogue Day programs, as well as professional development workshops for schools through the Educational Equity Initiative. For more information about the organization or the event, contact Jonathan Zur, CEO, or the staff at 804-515-7950. Information about the Dinner www.inclusiveva.org/awards/humanitarian/peninsula/.